This entry was posted in Announcement and tagged Brax Ghazi Najwa. Bookmark the permalink. 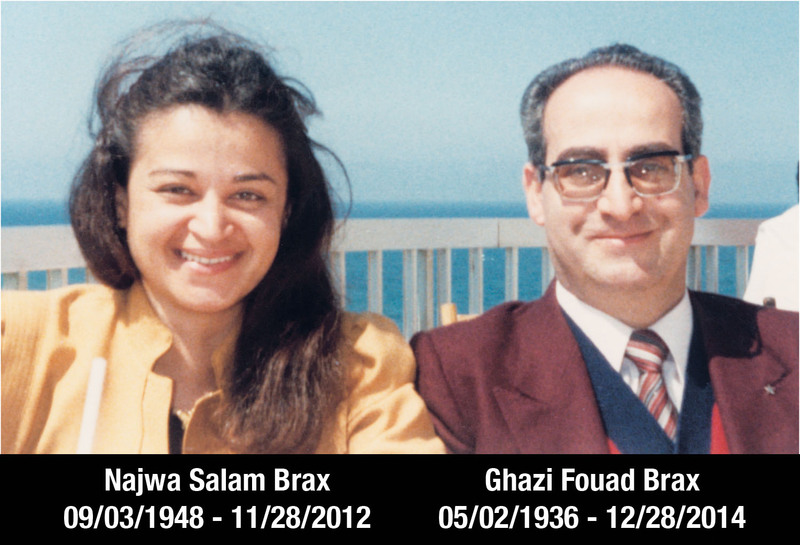 It’s with deep sorrow that we learned of the passing away of our beloved brother Dr. Ghazi. We are sure that he is a blazing star that gives life in our hearts forever and ever. Indeed, May his soul rest heavenly peace between the luminous tender hands of God almighty, and the blessing breezes of our guiding beloved prophet. Indeed his lightening steps shall guide us to heaven, echoing in our hearts the silence of faith and the prevailing breath of love, carrying us by its radiant wings on the river of light to the eternal realms of glory where love, faith and truth abide in the heart of Dr. Dahesh. What an honor it must have been to be alive and be a witness to the most extraordinary supernatural acts man has ever heard of. Not only that, but to have the opportunity to know and be friends with a man who, as a result, was a messenger of God. Such is the case with Dr . Ghazi Brax. I wish he was still alive so that I could have asked him questions personally about his experiences with the Doctor, to kind of put my mind at ease with the question that I have regarding Dahesh. In any case, at least there are still others here who were personal witnesses to the Man of Miracles. May God bless Dr. Brax as well as his family in this difficult time of his passing.